Picture it: Eastern North Carolina, circa 1994 (in my Sophia Petrillo voice). There's a skinny little brown girl twisting her hair up at her grandmother's house and dancing to the Janet Jackson video You Want This, belting the chorus lines out as if she were in concert. She bites her nails as she studies Janet's look, Janet's moves, and the sassy lyrics to Janet's song. She is in awe. She wants to dance like Janet, sing like Janet, look like Janet, and be just as sassy. Now picture that same young girl all grown up and staring at the screen watching her Velvet Rope Tour DVD in that same adoration she did as a child. Yep, you guessed it. That young girl was me. Janet Jackson will always be my definition of iconic beauty, poise, and sexiness. 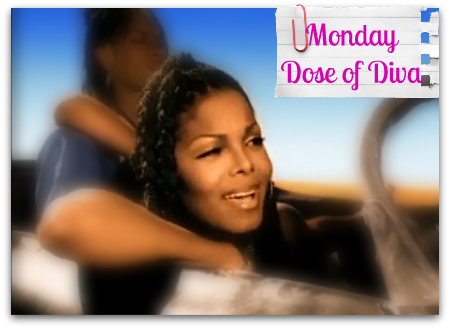 What is your favorite Janet Jackson song/video?